If you need a fun little diversion, check out this celebrity plastic surgery match game on ivillage.com. Click here. The local Fox affiliate here aired a nice segment last night on a Mommy Makeover which I performed on a patient of mine a couple weeks ago. If you'd like to view it, click here. Rumors continue to swirl regarding possible fat reducing treatments for Britney Spears. MakeMeHeal.com has a piece where yours truly is quoted regarding recent rumors that Ms. Spears has undergone either SmartLipo (dumb ads) or Lipodissolve treatments recently while in Las Vegas. At this point, I would say, "WHO CARES??!! Someone should get her some psychological help and keep the scalpel (or needle) away from her!" On a different topic, I do like her song "Gimme More." Plastic Surgery 101 : Dr. Rob Oliver's blog provides a nice commentary on plastic surgery and medicine in general. He covers some of the medical liability, reform, and general plastic surgery subjects which can be beyond the scope of my blog. Truth in Cosmetic Surgery: Dr. Disaia's blog was one of the first plastic surgery blogs which didn't focus solely on promoting his practice. John Diaz, M.D. : Dr. Diaz is a fellow Dr. 90210 alum and friend of mine. He covers plastic surgery, diet, and fitness in his blogs. Richard Hainer, M.D. : Dr. Hainer is a well-respected Michigan-based plastic surgeon and good friend of mine. 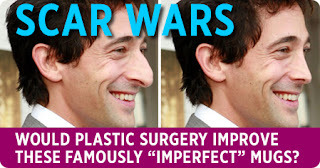 His blog covers some general plastic surgery subjects. Kevin, M.D. Medical Blog: Dr. Kevin is not a plastic surgeon, but his blog is a good read for anyone interested in medicine and medical issues in general. 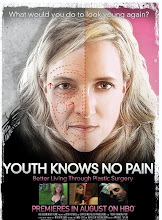 Any plastic surgeons out there: feel free to leave a comment with a link to your blog. Thanks to Editor-at-large Dale Hrabi for asking me to take part in this project. Country music star Kellie Pickler was present at the American Music Awards last night. I think she looked fabulous. Very stylish, I must say. Her breasts also looked quite a bit smaller, after their sudden appearance on American Idol several months ago. They appear to have gone from a disproportionate D to a curvy C.
This could be due to one of three reasons: (1) She has lost some weight, causing her breasts to become smaller, (2) Her surgeon replaced her old hefty breast implants with smaller ones, and/or (3) her implants have settled in and swelling has diminished, resulting in smaller breasts. I would bet that the changes we see in Kellie Pickler are a result of both (1) and (3). No matter what they are from, this "small town girl" looks like a big-time beauty. What about plastic surgery? Has Cowell gone under the knife? "No, absolutely not. 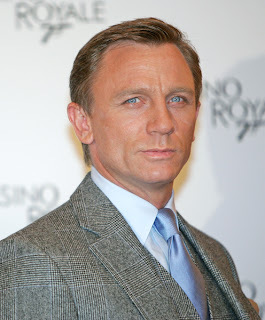 I have not had cosmetic surgery," he sniggers. "Yes, I've had Botox, but not in an obsessive way. Then again, every guy I know who works in the City has had it now." 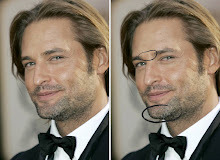 In the photos above, you can see an absence of frown lines between the eyebrows and in the foreheads of both celebrities. Their plastic surgeons have done nice jobs. In other news, Nicole Kidman has finally admitted to having Botox too........just kidding. Breaches of Patient Confidentiality in Donda West Case? As a physician and plastic surgeon, patient confidentiality is of extreme and upmost importance to me and my patients. The fact that these physicians are discussing the tragic details of Dr. Donda West's plastic surgery to the lay media strikes me as self-serving on both counts. With all the horrible accusations being hurled at Dr. Adams, one can see why he would talk with the media as a way to explain and protect himself (who would blame him?). As for Dr. Aboolian, what purpose does it serve (other than self-promotion and publicity) that he release Donda West's personal health information to the public the day after she tragically dies? These are just some thoughts from an admitted 'non-expert' in patient privacy laws. Any comments would be appreciated. 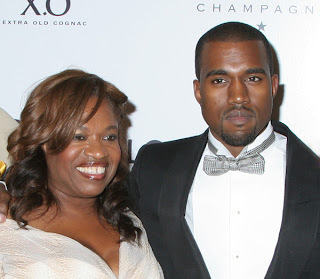 More information is coming out regarding the tragic death of Kanye West's mom after plastic surgery. 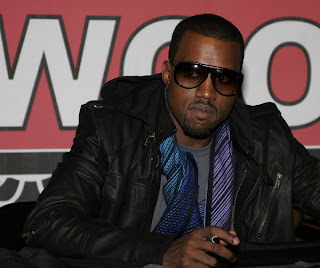 According to CNN.com, Donda West underwent a breast reduction and tummy tuck on Friday, Nov 9th at the surgery center of Beverly Hills plastic surgeon Dr. Jan Adams. The procedure took approximately 8 hours, after which she was sent home to recuperate. 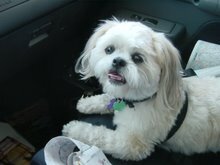 On Saturday she was found unresponsive and in respiratory distress. She was later pronounced dead at 8:28 pm at Centinela Freeman Regional Medical Center. An autopsy performed today was inconclusive, pending toxicology tests. 1. The plastic surgeon who performed the procedure, to my knowledge, is a bona-fide plastic surgeon who underwent all of the necessary training to perform these surgeries competently. Although the internet is buzzing with reports about his past, his training at the University of Michigan and UCLA earned him board-eligibility to be a plastic surgeon (although he was not board-certified). He is not some kook ER physician posing as a plastic surgeon. 2. An 8 hour "body" procedure is a long surgery to perform on someone who is 58, but is very often performed successfully. I know of no absolute guidelines limiting the length of a surgery, as this is usually a joint decision between the plastic surgeon and the anesthesiologist. In general, a healthy 58 year old should tolerate surgery well. I try to limit my surgeries to 6 hours or less, but this is just my comfort level and cannot necessarily be transferred to another surgeon. 3. Preoperative clearance is important for patients who show signs of heart disease or other illnesses. While this cannot ensure that there will be no complications, it can help prevent unforeseen risks. I routinely require preoperative clearance by a primary care physician prior to most plastic surgery procedures. There is no evidence in this case that preoperative clearance was not obtained by Dr. Adams (although he hasn't commented on this). 4. Plastic surgery is serious business. Death is a possibility with every medical procedure, from colonoscopy to plastic surgery, whether preoperative clearance is obtained or not. This is one of those things that I always pray never happens to a patient of mine, and is always a concern every time a patient undergoes anesthesia. A report in the Plastic and Reconstructive Surgery Journal noted only 1 death in 51,459 plastic surgery procedures. That number is still too high for me not to get gray hairs on my head. 5. What caused her death? I can't tell you for sure, but some possibilities exist. A pulmonary embolism (blood clot to the lungs) is possible, but would usually be a bit more delayed. Excessive bleeding is a possibility, and may have contributed to heart strain resulting in a heart attack. This may also be a result of massive fluid shifts after a lot of plastic surgery. This is something that could occur in this time frame. 1. Make sure to question your plastic surgeon as to whether the length of your surgery should have you consider splitting it up into two separate operations. I quite often do this with patients who want a breast lift with implants and tummy tuck. 2. Get preoperative clearance by your primary care physician, especially if you are older than 40 and have medical problems. 3. Make sure your surgery is performed in an accredited surgery center with a board-certified plastic surgeon. 4. If you have general anesthesia and go home afterwards, make sure someone is with you at all times during your immediate recovery (first 16-36 hours) so they can call for help if needed. For more information on choosing a plastic surgeon, click here and here. For information on safety in plastic surgery, click here for the ASPS FAQ's. We're having a Holiday Open House at my office this Tuesday, Nov 13th from 4-7 pm. Stop by if you'd like to meet me and/or my staff to discuss skin care, laser treatments, chemical peels, Botox, Restylane, and surgery. There will be refreshments, food, and gift bags for everyone. We will even be holding raffle drawings for hundreds of dollars worth of prizes (sorry, no surgery!). I hope to meet you there! To print out the invitation, click here. Call (248) 650-1900 to RSVP. 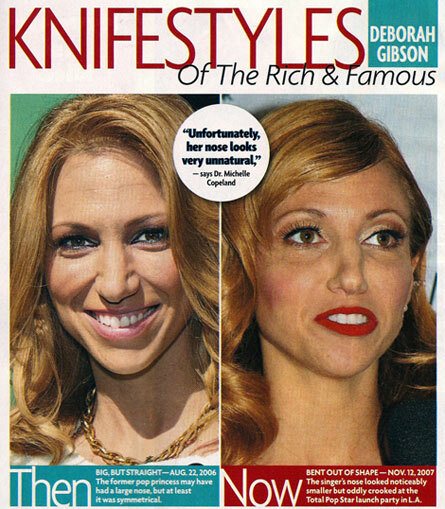 Here is a link to a website called Plastic Surgery Disasters. 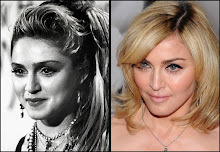 It has quite a few before-and-afters of celebrities and their plastic surgery. 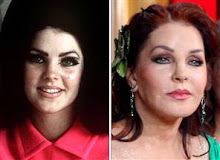 It looks like quite a few may have been lifted off the Awful Plastic Surgery website, though. Allure Magazine has a fascinating article this month (November) written by Joan Kron on lipodissolve and other fat melting injections. The article, titled "Fat Chance," is an in depth analysis of the risks, benefits, and even unethical marketing of this controversial treatment. I have touched on mesotherapy (the generic term for fat melting injections) in this blog in the past, and must admit that I do not perform these treatments. I am, however, very interested in their possible utility once they are proven safe and effective. 1. The Kansas State Board of Healing Arts in August voted to outlaw lipodissolve treatments, except for approved drug trials. A court judge then blocked the ruling from taking effect in response to legal action from a lipodissolve chain. A trial is pending. 2. It is against the law to perform lipodissolve in Canada and Brazil. 3. England has prohibited advertising lipodissolve, and doctor's insurance no longer covers these procedures. 4. There are some documented scientific papers which show nice improvement from fat melting injections without major side effects, but none of these have included an FDA-approved clinical trial to formally document its safety and efficacy. 5. According to an online Allure article, Realself.com has found that employees from two of these fat melting clinics have bombarded their message boards and comments areas with propaganda while posing as actual patients. 6. According to Allure: Essentially, lipodissolve clinics are practicing "human experimentation, due to the lack of significant data to support the claims to the consumer," says Dr. Rod Rohrich, chief of plastic surgery at the University of Texas, Southwest Medical Center. So what do I think of fat melting injections? My take is that these controversial treatments are very intriguing and hopefully will live up to expectations. As a physician, however, my first priority is to the safety of my patients. A treatment like this needs to be proven to be safe and effective before I perform it on someone. Otherwise, it is considered human experimentation and should be explained to the patient in this way. There are too many doctors out there, however, who get blinded by greed and see this as their ticket to riches. Our patients deserve better than a non-proven treatment without proven safety, standardization of medication, or realistic expectations. Hopefully in the near future fat melting treatments will be proven safe and effective. 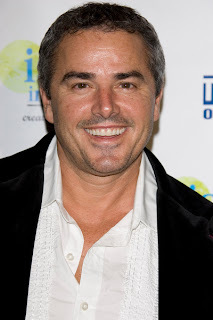 On the latest episode of Dr. 90210, the Brady Bunch's Christopher Knight underwent laser hair removal on his neck, between his eyes, inside his ears, and even inside his nose! While my practice offers laser hair removal, I've never seen it done to some of these weird areas. I'm not the one who normally does it though, since most of my time is spent in surgery. To view a television segment I did of laser hair removal for local Fox 2 News, click here.